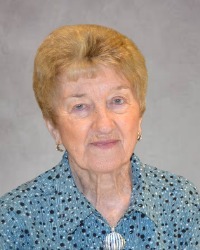 In honor of celebrating National Volunteer Week, the Pennyrile Area Agency on Aging would like to recognize Ms. Margaret Gilland of Crittenden County. Margaret serves as chairman of the Pennyrile Advisory Council on Aging. She also is a member of the Long Term Care Ombudsman Advisory Council and is a trained friendly visitor for long term care facilities. Margaret is very active in her local community, volunteering at the local senior center and numerous other organizations. Thank you for all you do Ms. Margaret!